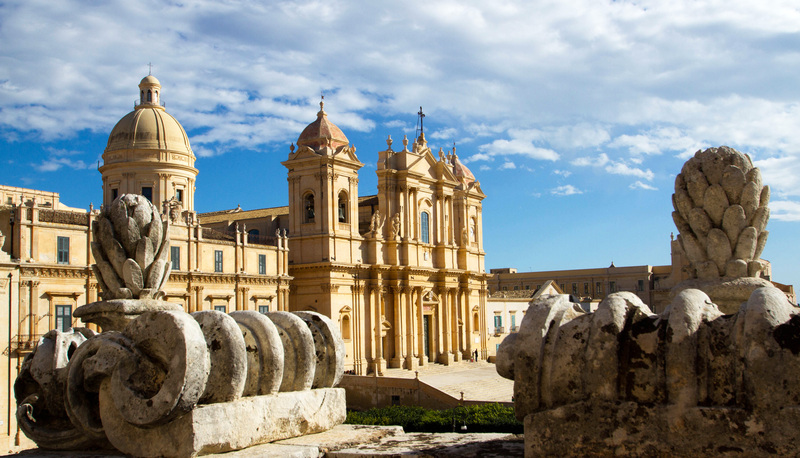 Only 1km from our Baglio there is Noto, considered the “Capital of the Sicilian Baroque”. Together with other seven late-Baroque towns of the Val di Noto, its historical centre was declared UNESCO World Heritage Site in 2002. In the town you can admire a great number of gorgeous churches and aristocratic palaces. Among all, however, the Cathedral of Saint Nicholas , national building since 1940, deserves particular mention. Its construction began in the early 18th century, as part of the general reconstruction of Sicily following the devastating earthquake of 1693, and finished in 1776, thanks to the collaboration of the three greatest artists of the Noto Baroque: Rosario Gagliardi, Francesco Paolo Labisi and Vincenzo Sinatra. Seriously damaged on March 19th 1996, when the dome and part of the Cathedral collapsed, it was reopened in 2007, after 11 years of restorations. 5km from the town you can easily reach the seaside resorts Noto Marina and Calabernardo, that in these last years have developed several tourist services and infrastructures. The wide beaches with fine sand and crystal clear sea make this coastline one of the best of Italy. Noto Marina overlooks the enchanting crystal clear and transparent Ionian Sea, with its green and light blue glitters. The broad and round bays, framed in a lush Mediterranean vegetation, softly shape the stony, gravelly or sandy coast. 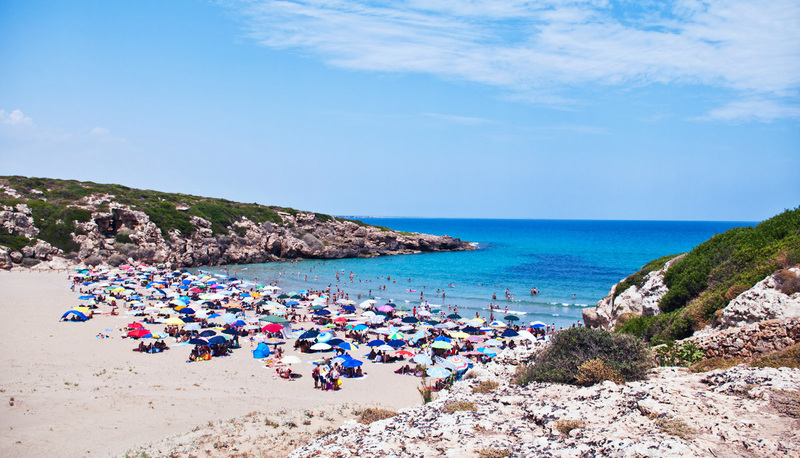 Continuing after Noto Marina towards Pachino, you will arrive after a few kilometres at the well-known beach of Calamosche, the most famous of the Vendicari Nature Reserve. This beach was the set for a TV advertisement by the Italian Network “TIM” with the actors Aldo, Giovanni e Giacomo and in 2005 it was awarded the title “Most beautiful beach of Italy” in the Blue Guide by Legambiente. This small cove is no longer than 200m and has an always calm and glass transparent sea water, very similar to that of the Caribbean, thanks to the two promontories at its borders, that block waves and currents from entering. The beach is easily reachable from the entrance on the SP19. Driving some kilometres further on the SP19 it is possible to visit the Vendicari Nature Reserve. 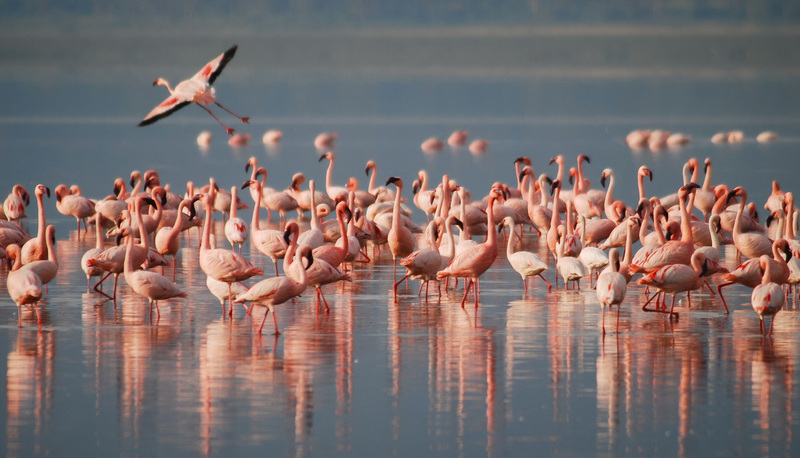 This fantastic natural oasis offers a great variety of flora and fauna and is particularly famous for birdwatching: in some periods of the year thousands of migrating birds stop here to rest, on their way to or from Africa. Flamingos, herons, storks and cormorants are regular during autumn, while in winter ducks, mallards, pintails and terns take over. The beach of the Vendicari Nature Reserve is one of the wildest and most uncontaminated of the whole Sicily: it was awarded 4 Blue Wings by Legambiente. In front of it there is the islet of Vendicari, while looking towards North you can see the rests of the Ancient Tonnara (tuna fish plant) and of the fishers’ old houses: a fascinating site of industrial archaeology that dominates the whole coastline. Driving 5km further, after the Natural Reserve, towards Pachino, don’t miss a visit to the small fisher village of Marzamemi, that grew up around the now abandoned tuna fishing plant. Here tuna were processed, and inside you can still see some reminders of this ancient maritime activity: boats, warehouses and many tools. 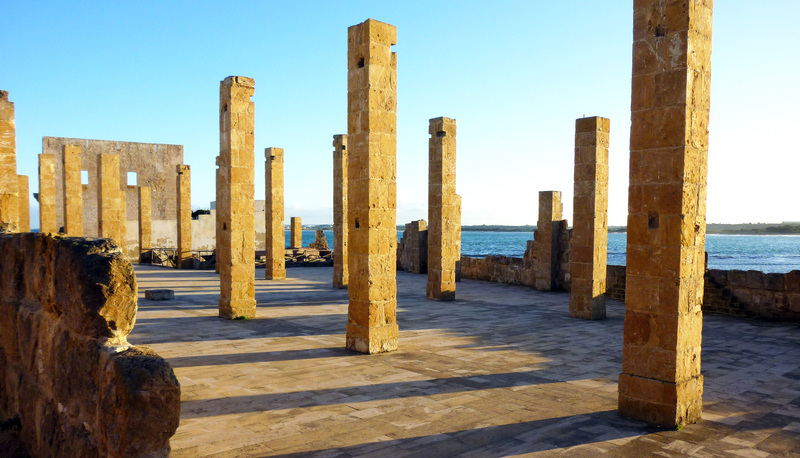 In the last years Marzamemi has become very popular in summer. Its night life is well-known all over South Sicily: in the evening the white stone of its buildings is lit by the lights of restaurants and shops, and people come from the surroundings to enjoy the lively “movida”: sitting outdoor for a drink you will feel its magic atmosphere. On the opposite side from Vendicari, driving towards Syracuse, there is another jewel of South-East Sicily: the Natural Reserve Cavagrande of Cassibile and its Laghetti (small lakes). In this territory the Hyblean Mountains are split by deep crevices and fractures called “caves” creating a natural panorama unique in Sicily and an enchanting landscape. The most beautiful of the caves is with no doubts Cavagrande, a protected Natural Reserve that spreads over an area of 2.760ha. 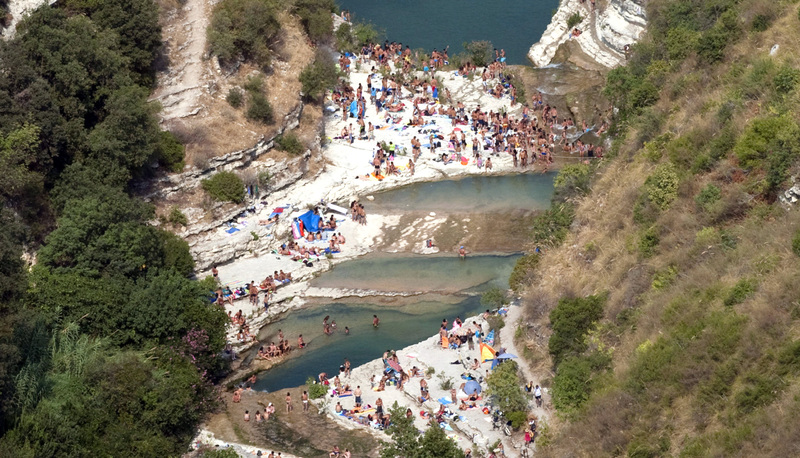 The water of the Cassibile river has eroded the limestone creating a suggestive canyon embedded in the rocky nature of the Hyblean Mountains. 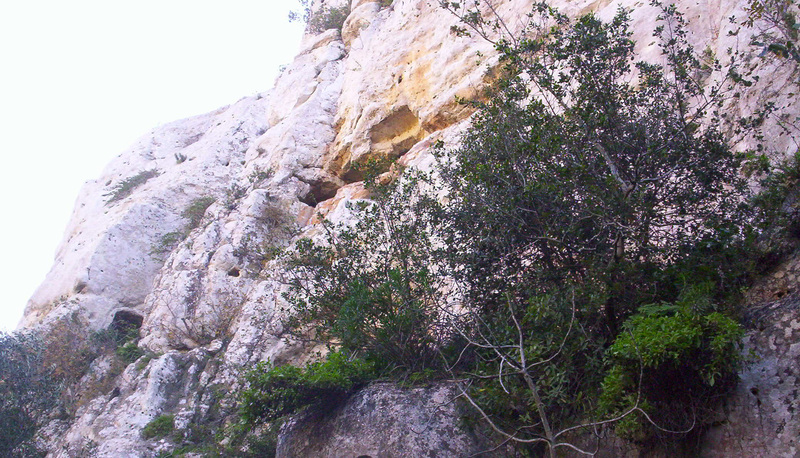 In some sites the vertical walls, covered with lush vegetation, are even 250m high, and the width of the cave is about 1km. The presence of paths allows to reach the bottom of the valley, where the clear water of the river originates enchanting falls and small lakes. About 15km from Baglio Genovesi, driving through the hills and reaching the Hermitage of San Corrado Fuori le Mura, after the wonderful Sanctuary of Madonna della Scala, you can admire the Alveria Mountain and the superb walls of “Netum”, the Ancient Noto, which had its golden age in the 16th century. The first human settlement dates back to the Castelluccio Culture in the Ancient Bronze Age (18th – 15th centuries BC). Before arriving at the Gate of the Mountain of Netum, i.e. the old entrance gate, you can visit first the Cave of the Artichoke, a Jewish catacomb where it’s engraved a menorah, the seven-branched Jewish candelabrum, and then the wide Cave of the Hundred Mouths, a Byzantine catacomb. After the entrance gate of Netum, on the left side there is a large room which was once the Armoury under the Stables, while on the right side there is the Castle with the Main Tower, commissioned in 1431 by the Duke of Netum Don Pedro de Aragon, vassal of the town and brother of King Alfonso V the Magnanimous. Under the castle you can visit a Chistian-Byzantine catacomb (6th – 7th centuries) with arcosolia carved into the rock; further, always on the right, a Classical Greek tomb dug under the castle. On top of the hill you can admire the Carousel Valley, where the Asinaro river springs. At the bottom of the valley there are the famous Leather Tanneries excavated by the Arabs, immersed in a wonderful landscape with small lakes: in their uncontaminated water you may find relief in the hot Sicilian summer. Along the way, on the left, you can see the Hospital of Saint Martin, better known as the Hospital of Our Lady Mary of Loreto, which is connected to a structure dug into the rock, maybe an Oratory. Continuing the visit of Netum, you reach the palace of the Barons of Belludia with several rooms on the right, while on the left there are the Jesuit Church pillars and the ruins of the Jesuit College. A beautiful walk leads to the main square, the Piazza Maggiore, heart of the town in the 16th century. From here, turning left, you will arrive at the Hellenistic-Hieronian Gymnasium (3rd century BC), where the young netini trained in gymnastic: the structure is partially dug into the rock, partially realised in brickwork. Nearly 7km from our Baglio, driving on the SP “Noto – Testa dell’Acqua”, there is a beautiful viewpoint on the Cave of Saint Joseph. From here you can admire the Mount Alveria with the ruins of Netum. Continuing on the same road, you will arrive at the crossroad with the SP “Testa dell’Acqua – Renna – Torresena”, descending downhill to Mount Renna, in the Tellaro Valley. Taking this direction, you’ll find an area of state afforestation and a narrow dirt road on the left that leads to the Mount Finocchito, considered one of the most important Hyblean Mountains in the Province Syracuse. It’s an archaeological and naturalistic site of high interest: the findings from the late Neolitic represent a unique cultural heritage and provide evidence of the presence in this area of the very first Greek colonists, who arrived in South-East Sicily before the great colonization of the following centuries. 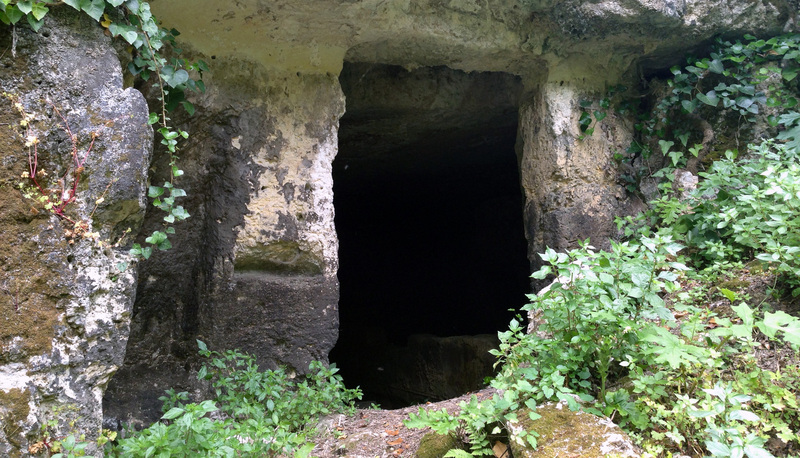 On the steep slope of Mount Finocchito there is the Necropolis of Finocchito (600 BC), characterised by artificial small caves and numerous niches carved into the internal walls, where dead were buried. In this important archaeological site precious findings were discovered, like pottery, stone and bone arrowheads and metal beads. They are now preserved at the Museum Paolo Orsi of Syracuse. On top of Mount Finocchito there was an ancient village of the Sicels, of which nowadays only the ruins of the fortified perimeter wall remain. This site is considered the most antique of the whole Sicily. Inside the wall there are only a few rests, like the old cart roads, that suggest the existence of a real town with stone houses: a clear example of a semi-nomadic culture that became a settled society. This ancient village belongs to the same period of “Hybla”, the ruins of which are visible in Pantalica, between the actual territories of Sortino and Ferla. The Ddieri di Baulì are an exceptional complex of intricate rooms excavated into the rock on different levels, connected through tunnels dug into the brittle rock of the cave by a Byzantine community, that came here to lead an ascetic life, in harmony with nature. During the Arabic invasion the Ddieri were kept under siege by the Islamic army, that drove out the Byzantines and settled here, transforming the houses in a perfect military stronghold. Later, with the Norman conquest of Sicily, the Muslims took refuge in the Ddieri and resisted to the siege a long time before surrendering. After the Unification of Italy the Ddieri became a den of brigands, fighting against the annexation of Sicily to the Kingdom of Italy; among them there was also the famous brigand Giovanni Boncoraggio. 32km from our Baglio, only 20 minutes by car on the railway, you can easily reach Syracuse. 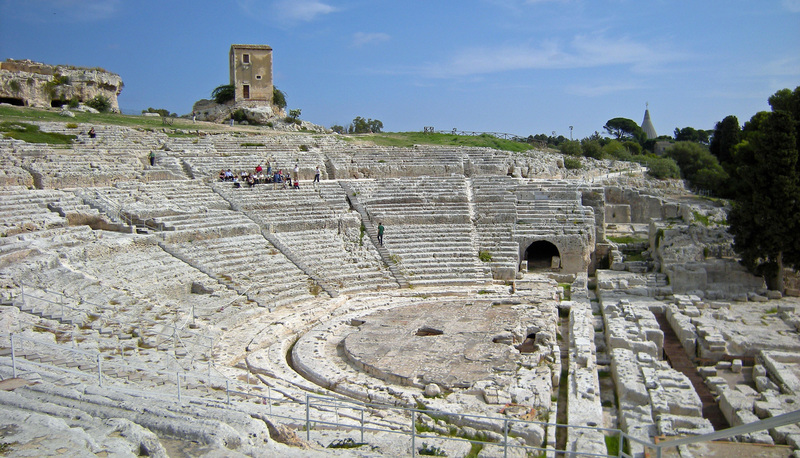 Located in the South-East coast of Sicily, Syracuse is notable for its rich history, culture and monuments. The city was founded by Ancient Greek Corinthians and Teneans, and soon became the main city-state of Greek Sicily, as well as one of the major powers of the Mediterranean world: during the Classical Period it even equaled Athens in size. 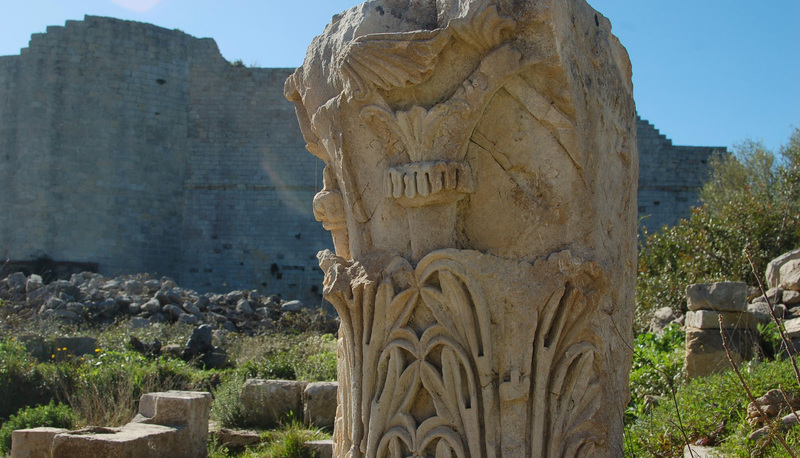 Syracuse played a key role in the cultural development of the ancient world. It was the home to great artists and philosophers and was the birthplace of the best scientist of all time: the preeminent mathematician and engineer Archimedes. Many leading figures of Ancient Greece visited the city and lived here: among them there was also the eminent Athenian philosopher Plato, who chose Syracuse to actuate the model of his ideal state. In 214 BC the Romans, led by consul Marcus Claudius Marcellus, besieged the city, that held out for three years, but fell in 212 BC. However, in the 1st century BC, Cicero still described Syracuse as “the greatest Greek city and the most beautiful of them all”. After the Roman time, Syracuse passed through a period of Vandal rule, until it was recovered by Belisario for the Byzantine Empire (535 AD). Later, from 663 to 668, it became the seat of Emperor Constans II and metropolis of the whole Sicilian Church. With the Muslim conquest of Sicily in 878, the capital was moved to Palermo, and Syracuse lost its hegemony. 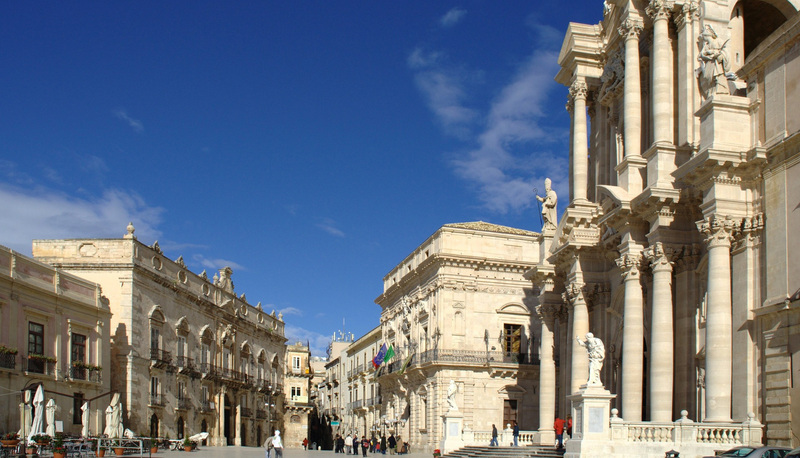 The city was struck by two terrible earthquakes in 1542 and 1693: the latter changed the aspect of Syracuse forever, as well as that of the entire Val di Noto. 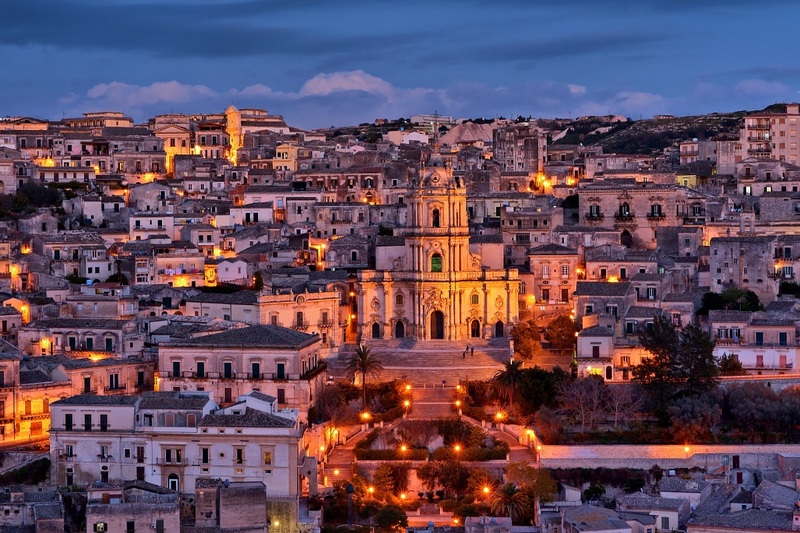 All the cities were rebuilt along the typical lines of Sicilian Baroque, considered one of the most typical expressions of art of southern Italy. Today Syracuse has several important historical, architectural and natural attractions. Since 2005 the entire city, along with the Necropolis of Pantalica which falls within its province, was listed as a World Heritage Site by UNESCO. With no doubts, one of the most fascinating and famous tourist tours is the archaeological one, including a visit to the Greek Theatre and to the Neapolis Archaeological Park. How extraordinary the Theatre of Syracusa was in ancient time is demonstrated by the fact that historical sources indicate its architect’s name: Damocope, also known as Myrilla. This Greek Theatre is one of the best preserved of the Classical Period and one of the largest ever built by the ancient Greeks: it has 67 rows divided into nine sections, with eight aisles. It was radically modified by Ierons II in the 3rd century, with whom the theatre acquired its actual aspect. Later, the Romans adapted it to their different spectacles, including also circus games and gladiator combats. Proto-historic Age to the Byzantine and Roman times. Syracuse has also notable examples of military architecture. 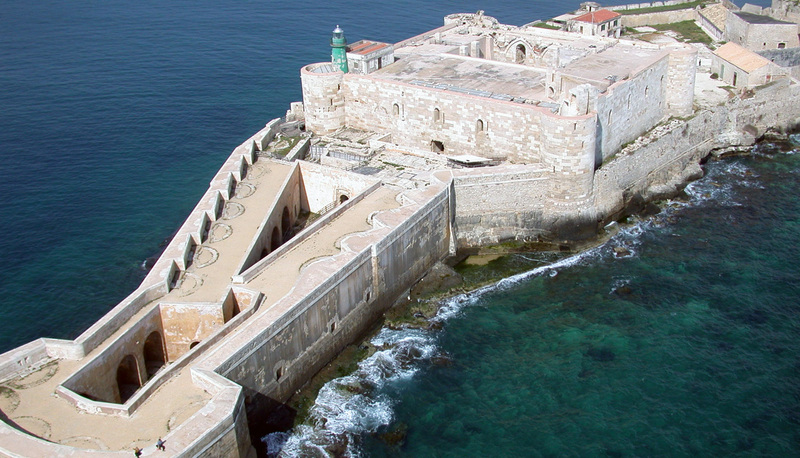 First of all the Euryalos Castle (the name comes from the Greek word eyryélos, i.e. “shaped like a nail”) located in the actual quarter of Belvedere. It was built by Dionysus I the Elder in six years, between 402 and 397 BC: a time during which Syracuse was preparing for the inevitable clash with the Carthaginians for the control of East Sicily. To strengthen the defence of the town, Dionysius decided to fortify the Epipoli (upper city), that during the Athenian attack and siege in 415-413 BC had been a weak point. Dionysus’ choice resulted appropriate and when war broke out, Syracuse prevailed. Later, many additions and alterations were made and even the great mathematician Archimedes made his part, creating some of the most innovative war machines used against the Roman army during the siege of Syracuse in the year 214 BC, such as the death ray, the iron claw and catapults. The Euryalos Castle is very impressive, partially dug directly into the rock and partially connected to the old town walls, for a total of 27km walls, built by Dionysus mobilizing 60.000 men and 6.000 pair of oxen. Moreover a dense network of underground tunnels allowed the soldiers to move quickly without being seen by enemies. Many parts of the castle are still visible and also the panorama from this archaeological site is worth a visit. Another beautiful example of military architecture is the Maniace Castle, situated at the extreme point of the Ortygia Island Promontory and built by Emperor Frederick II between 1232 and 1240. Originally the entrance was possible only over a bridge spamming a moat (now filled) and through a still visible portal of notable feature. For most of the 15th century the castle was a prison, however used in that period and in the following centuries also as fortification and focal point of the city walls for the defence of Syracuse. Only 30km from our Baglio there is the charming Baroque town Palazzolo Acreide, located on the Hybleian Mountains, not too far from the Necropolis of Pantalica. 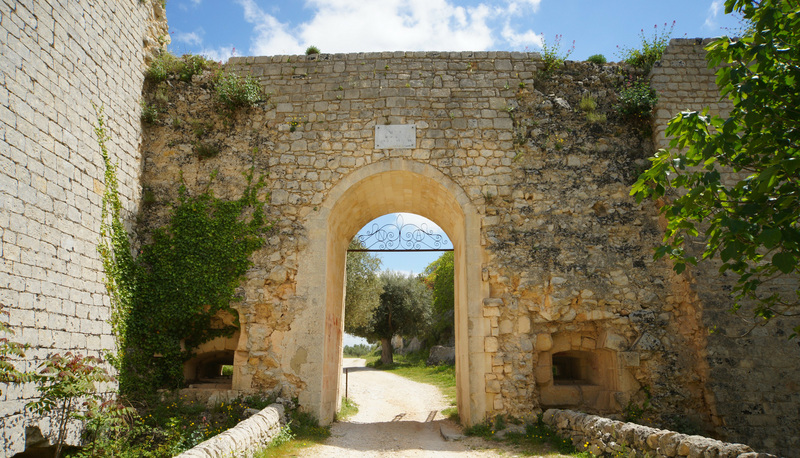 In 2002 it was declared UNESCO World Heritage Site with other seven towns of the Val di Noto. Moreover, Palazzolo Acreide is part of the circuit “The Most Beautiful Villages in Italy”. The area around Palazzolo Acreide was already settled in very ancient times: in the 11th-10th centuries BC the Sicels lived here in small villages. The actual town has Greek origins and occupies the site of the ancient Akrai, founded by Syracuse about 664 BC. It was quite important, as it controlled the paths of communication with the towns on the southern coast of the island. After the Roman conquest it became a civitas stipendiaria, and was still prospering during the early Christian age. The old town was probably destroyed by the Arabs (9th century AD) and then rebuilt around a Norman castle not too far. The earthquake of 1963 destroyed almost all of the city, which was slowly reconstructed in the following centuries. Palazzolo Acreide is full of beautiful churches and Baroque monuments, among which the most interesting is with no doubts the Ancient Greek Theatre, inside the Archaeological site of Akrai, the old city located West of the actual one and the oldest among the colonies of Syracuse. 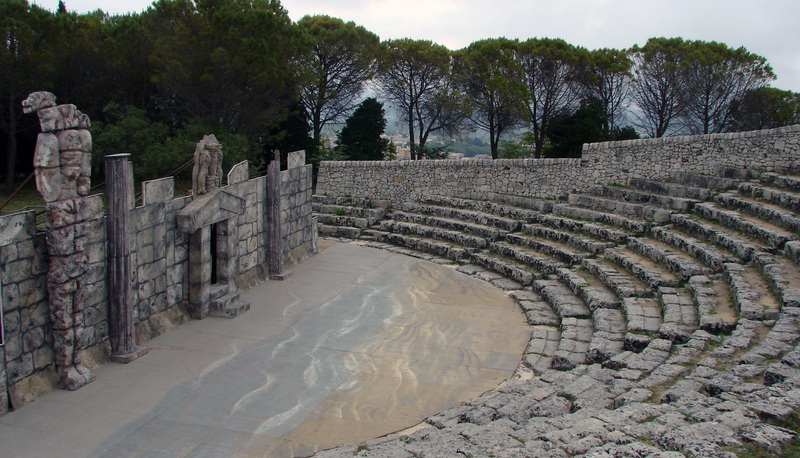 The construction of the theatre goes back to the 2nd-3rd centuries BC, even if it’s often attributed to Hieron II. Differently from that of Syracuse, this theatre is not built removing the rock of the hill, but it simply lays on a natural slope. 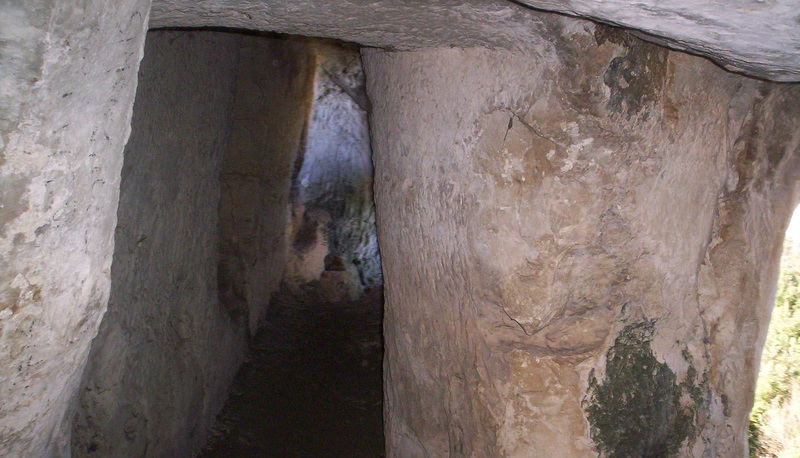 Moreover, it is directly connected through a tunnel to the city’s agorà and bouleuterion. Not too far from Palazzolo Acreide there is the Anapo Valley, where the Anapo river flows: one of the best synthesis of environmental, natural, archaeological and cultural values. 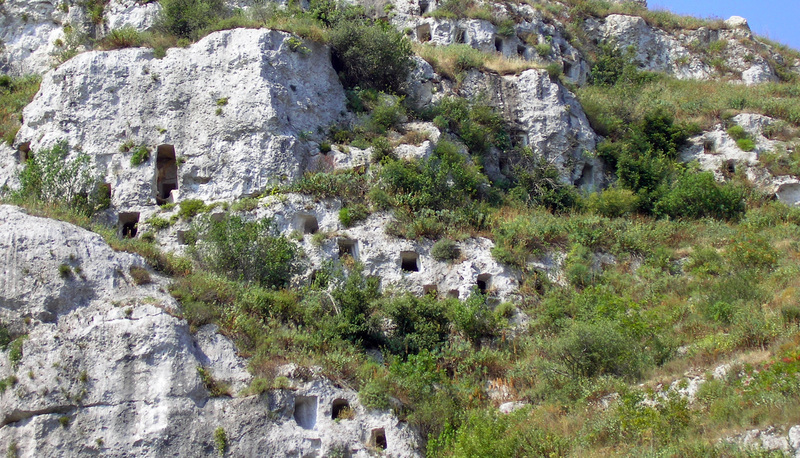 In this area, where flora and fauna are extremely rich and various, there is the Necropolis of Pantalica, which evidently flourished for about 600 years, from about 1250 to 650 BC. Its current name probably derives from the Early Middle Ages or from the Arab Period, while the ancient name is uncertain, associated by some archaeologists with Hybla. For several centuries, before the Greek colonisation, Pantalica was undoubtedly one of the main sites of Sicily. 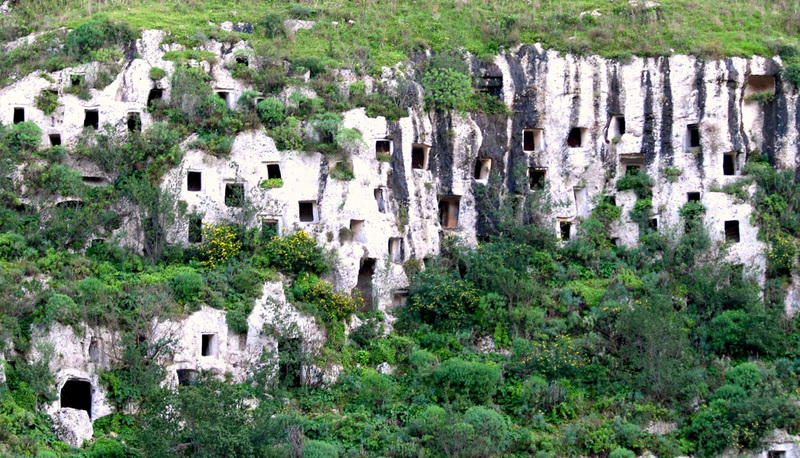 The Necropolis of Pantalica is the largest of the whole Mediterranean area: it is a collection of cemeteries with over 5.000 rock-cut chamber tombs dating from the 7th to the 13th centuries BC. It is situated in an extremely suggestive position, spreading around the flanks of a large promontory, at the junction of the Anapo river with its tributary, the Calcinara. The site was mainly discovered and excavated first by the Italian archaeologist Paolo Orsi, and then by Bernabò Brea, two of the most outstanding archaeology researchers of the world. Together with the city of Syracuse, Pantalica was listed as a UNESCO World Heritage Site in 2005. Only half an hour by car from our Baglio, driving on the SS115 towards Gela, you will arrive in Modica. Its architecture has been recognized as providing outstanding testimony to the exuberant genius and final flowering of Baroque art in Europe: for this reason, together with other seven towns of the Val di Noto, it was listed in the UNESCO World Heritage Sites in 2002. 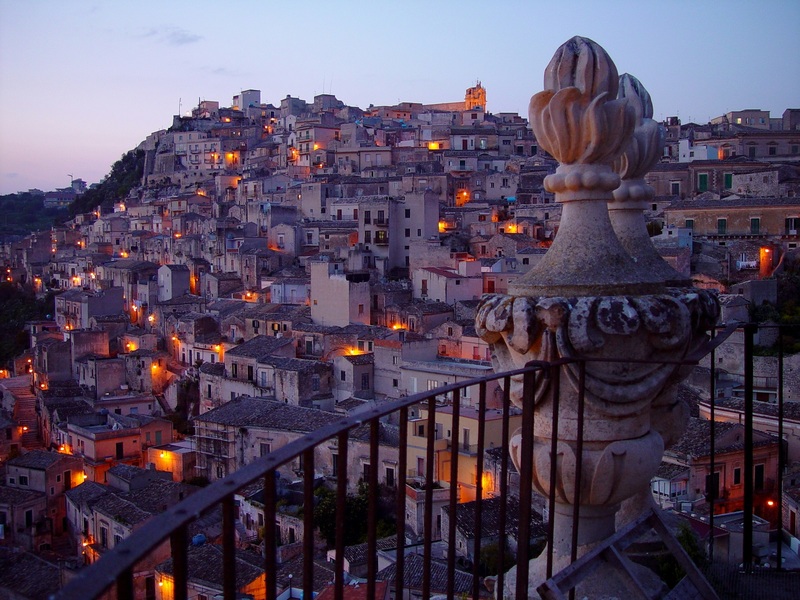 Modica consists of two urban centres: “Modica Alta” (Upper Modica) and “Modica Bassa (Lower Modica); the older upper part is on the rocky top of the hill. 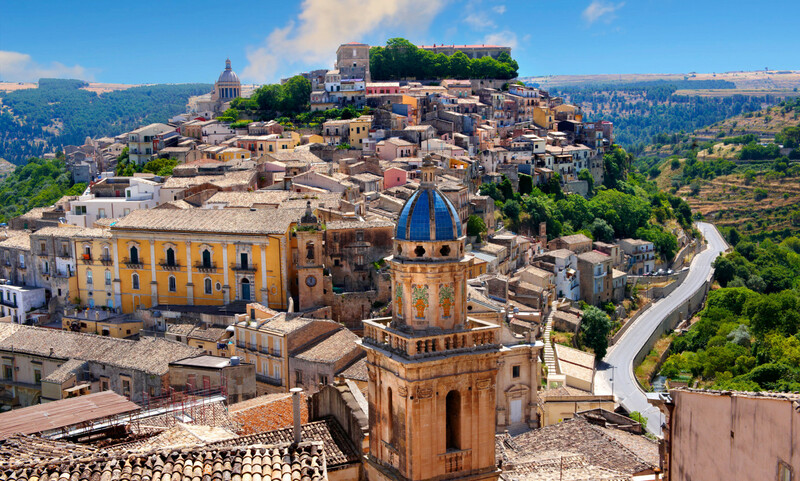 After the heavy destructions of the earthquake in 1693 Modica was rebuilt with imposing and conspicuous monuments in the Sicilian Baroque style and nowadays it presents some of the most beautiful architecture of Sicily. Among the several ancient buildings and churches, the large Baroque Cathedral dedicated to St. George stands out, often hailed as the emblem of the Sicilian Baroque, typical of this extreme corner of Italy. Listed as a World Heritage Site by UNESCO, the Cathedral was rebuilt after the terrible earthquakes in 1542, 1613 and especially 1693: the reconstruction, more sumptuous and magnificent than ever before, was entrusted to the famous architect Rosario Gagliardi from Syracuse, who had already designed the Cathedral of Ragusa. In 1738, with a solemn ceremony, the Cathedral of Modica was reopened. To mention, always in Modica, Salvatore Quasimodo’s birthplace, i.e. the house where the famous Italian poet was born on 20th August 1901. Nobel Prize for Literature in 1959, Quasimodo lived here the first 14 months of his life. Today the house is a museum situated under the Clock Tower of Modica. In the room where he came to life there are: an iron bed, a kneeling-stool, a bolster and other furniture and fittings from the early 20th century. Scicli is a monumental Baroque town with the aspect of an outstanding living crib. 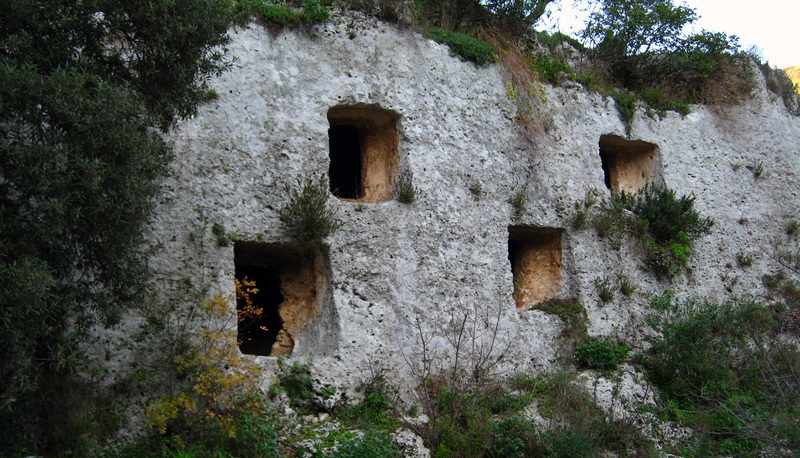 Alongside with other seven towns of the Val di Noto, in 2002 it was listed in the UNESCO World Heritage Sites. Via Mormino Penna, with its several buildings from the 18th century, represents a real masterpiece of Late Baroque art. 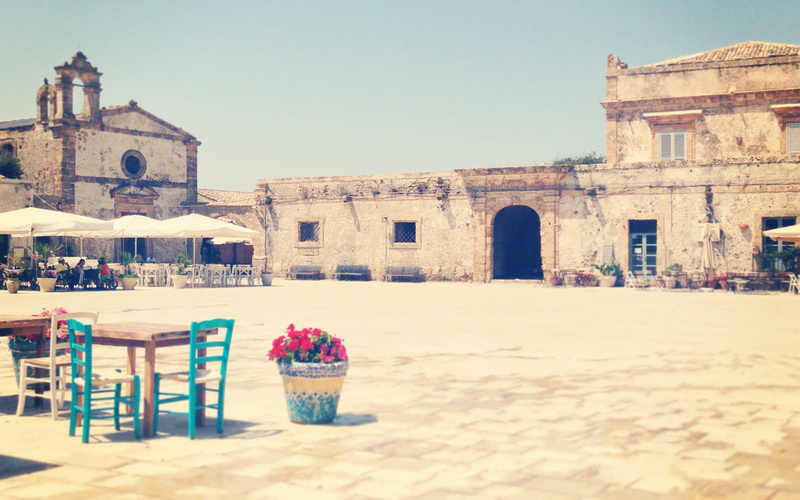 Don’t miss the Palazzo Beneventano, considered the most beautiful Baroque palace of Sicily. In these last years Scicli has become part of the film set of the popular TV series “Inspector Montalbano”, based on the detective novels by Andrea Camilleri. 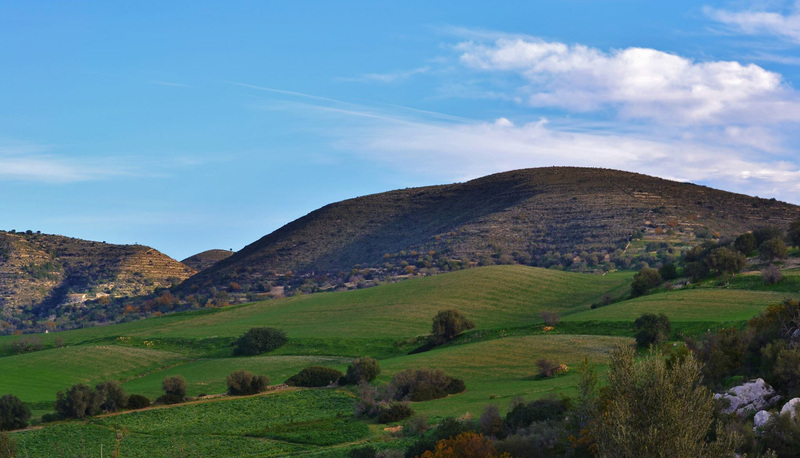 The stories take place, in Sicily, in the imaginary town of Vigàta, and much of the episodes are filmed in several sites of the province of Ragusa. Montalbano’s headquarters are in Scicli: the Commissioner of Police of Vigàta is the Town Hall of Scicli. 50km from our Baglio don’t miss a visit to Ragusa, built on a wide limestone hill between two deep valleys. 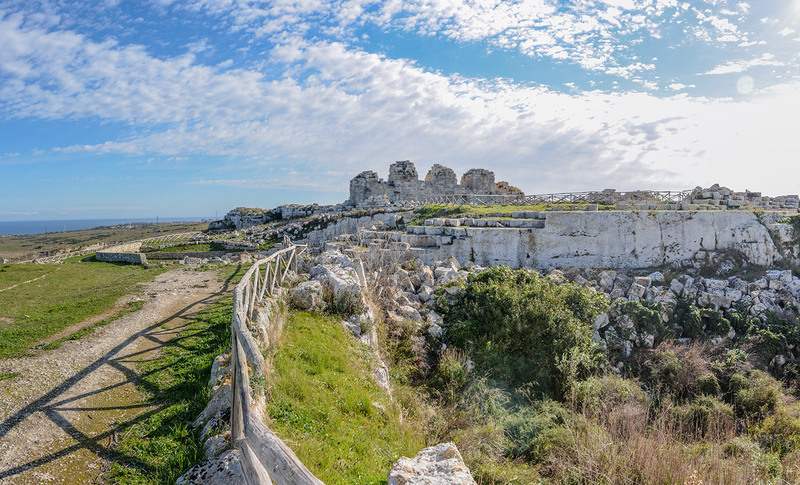 Together with other seven towns of the Val di Noto, it was listed in the UNESCO World Heritage Sites in 2002. In 1693 Ragusa was devastated by a terrible earthquake, which destroyed a great part of it and killed more than 5.000 people. The reconstruction took place in the 18th century and divided the population in two large districts: on the one side “Ragusa Superiore” (Upper Ragusa), located on the highland, on the other side the lower and older town “Ragusa Ibla”, mainly rebuilt on the medieval urban layout and home to a wide array of Baroque architecture, including several stunning places and churches. The greatest part of these artistic treasures is in Ragusa Ibla, where there are more than 50 churches mostly in Late Baroque style. The only exceptions are some beautiful buildings from the 18th century and the Cathedral of Saint John the Baptist, without doubts the best attraction of the Ragusa Superiore, built between 1718 and 1778, with a façade in typical Sicilian Baroque style. In some episodes of the TV fiction “Inspector Montalbano” appears Piazza Pola, with the Commissioner of Police of Montelusa. One day in the sites of Montalbano can start bathing and swimming in Marinella, the fictional town where Montalbano lives in his beautiful house by the sea, with a nice veranda where he often has dinner with his guests. 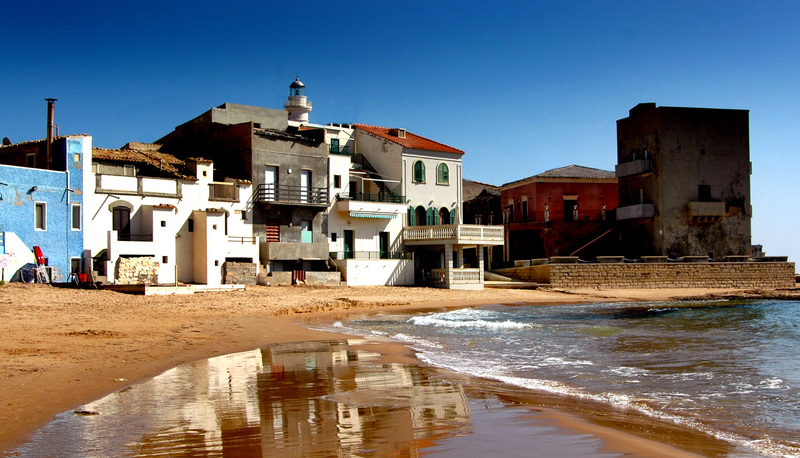 In the reality Marinella is Punta Secca, a district of Santa Croce Camerina, and Montalbano’s house is right at the water edge. In all the episodes of the TV fiction “Inspector Montalbano”, the country villas and the farmhouses (Italian: masserie) of the Hyblaean territory, where the rich bourgeoisie and landowners live, dominate the scene. They are refined family residences in the countryside, surrounded by dry stone walls, in the barren landscape of the highlands. 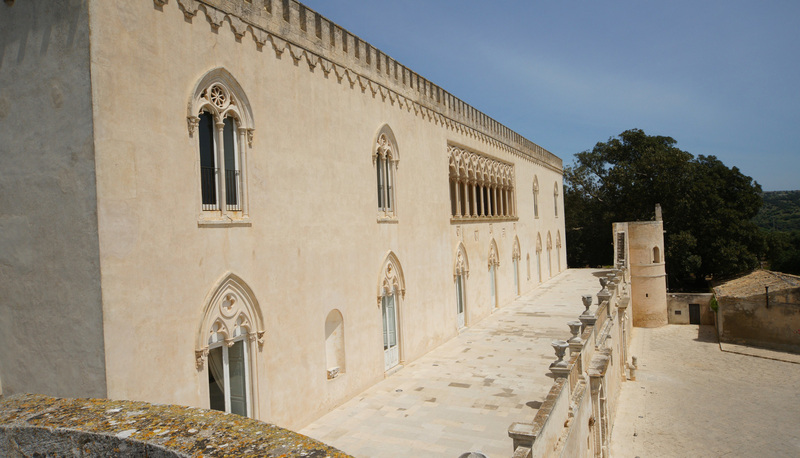 Alberto Sironi, director of the TV serial “Inspector Montalbano”, chose the most enchanting Neoclassical and Neogothic villas and farmhouses: Villa Denaro Papa, Villa Veninata and obviously the Castle of Donna Fugata, the most sumptuous country residence of the whole Hyblaean territory, already chosen in 1963 by Luchino Visconti for its film “Il Gattopardo”, with Burt Lancaster, Claudia Cardinale and Alain Delon. The Castle dates back to the 17th century and has a rather eclectic architecture, mixing the Neo-Gothic style of the loggias with the Neo-Egyptian style of the sculptures and the Neoclassical references of the Coffee House, surrounded by a lush park. The penultimate episode of the new serials of “Inspector Montalbano”, entitled “The Track of Sand” (orig. Italian La pista di sabbia), takes place here.